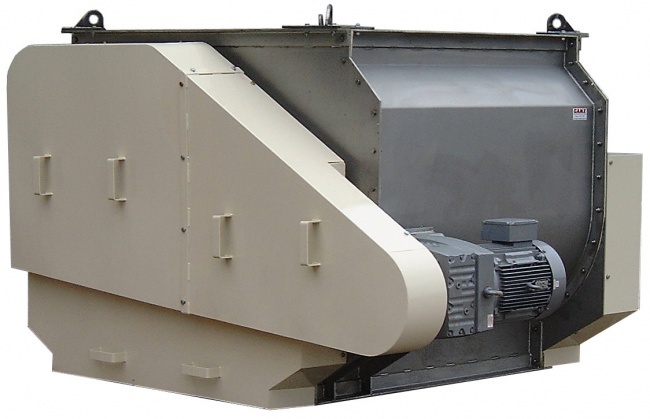 The GAME GPM Paddle Mixers are diverse, versatile machines; designed specifically to produce thoroughly homogenous mixes, with total consistency without product degradation or heat build up. GAME developed the range for use on different product spectrums and mix requirements, including powder blending equipment. The paddle mixer range is able to blend solids and powders with liquids additions. 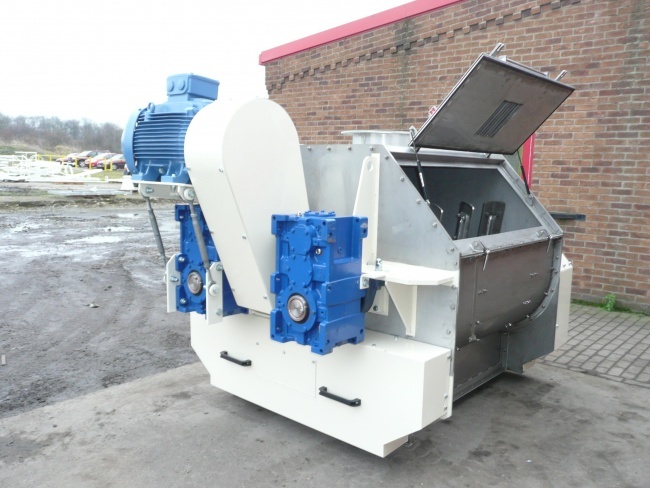 These industrial mixers have been designed and manufactured in accordance with current European standards. 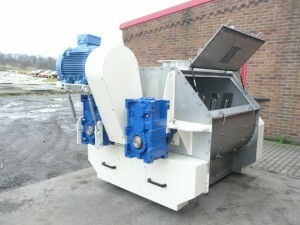 The paddle mixers comprise of a twin drum assembly with a rotary twin shaft arrangement. Attached to each shaft is a set of carefully profiled paddles, positioned at specific angles, to guide the material along the shaft inside the mixer depending on the rotation direction of the shaft. The paddle assemblies overlap and the pre-determined low speed of the counter rotating shafts, generates a precise peripheral velocity at the tip of the blades, this action suspends the bulk of the material being mixed in a near weightless condition. The rotation also produces vortices in the mixing zone which assist the mixing by their creation and collapse. Main Body & End Plates: contact parts in grade 304 Stainless Steel, the main body will be rolled with detachable end plates. Non-contact parts may be in Mild Steel with a painted finish (Client to specify colour) such as the drive and non-drive guards. Twin Rotor Shaft Assemblies: all grade 304 Stainless Steel, the twin rotor assembly comprises two main shafts fitted with a number of paddle support arms and paddle blades. The twin rotor shaft assemblies mounted in 4-hole flange type bearings with internal lip seal. 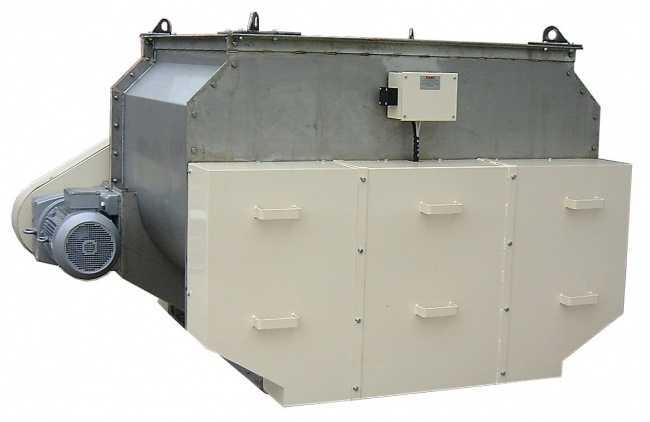 Bomb Door Discharge: all 304 Stainless Steel, the twin Bomb Doors are pneumatically operated with an over centre locking system and door position switches. A rubber extrusion is fitted around each bomb door to create a seal against the mixer body. Top Cover Assembly: all contact parts in grade 304 Stainless Steel, this will be in 3mm sheet folded into three sections. The centre section houses the spray bar to allow an even distribution of liquids into the mix. One outer section has an access door to view and clean, the other provides the inlet for product. All access doors are fitted with electric interlocks. Spray bars (for liquid additions). The mixing process handles all ingredients in an extremely gentle manner and when they vary in particle structure, size and density the mixing is such that segregation is avoided. Even on discharge, segregation is avoided by the use of large bomb doors at the base of the mixer. Most mixes can be completed in less than one minute and some even less than 15 seconds.